Race Bypass Valve (Open) with Aluminum Flange and Mounting Hardware. 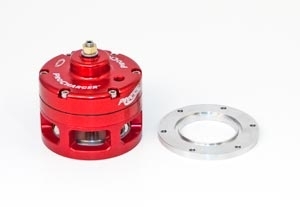 The race bypass valve with the steel flange is for use with steel tubing, likewise the race bypass valve with the aluminum flange is for aluminum tubing. 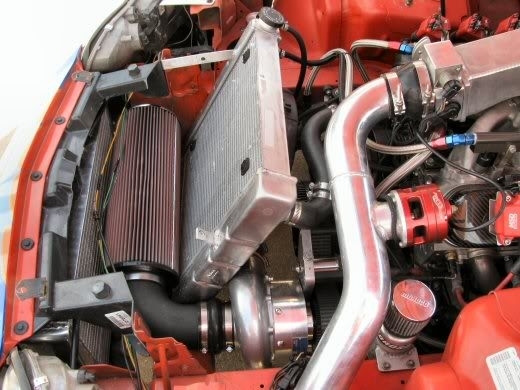 The open race valve vents the air directly to the atmosphere, which can make a loud noise. Depending on where the race valve is located, it can also kick up a lot of road dust. The enclosed race valve is designed to enable a hose to be clamped to it, this allows the air to either be run back into the system or dumped wherever the installer desires. Routing the hose past the firewall quiets down the release of air from the valve. 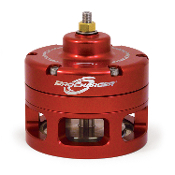 Brute Speed highly recommends the race valve when boost 14 psi and above. 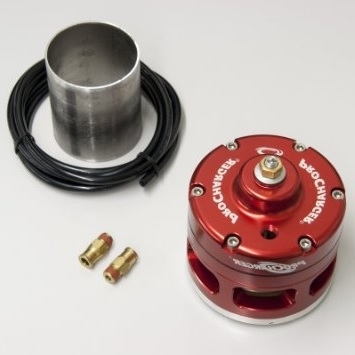 This Race Valve comes with an aluminum flange that needs to be welded into the aluminum intercooler tubing.